Size: 2.05 x 1.49 mt. 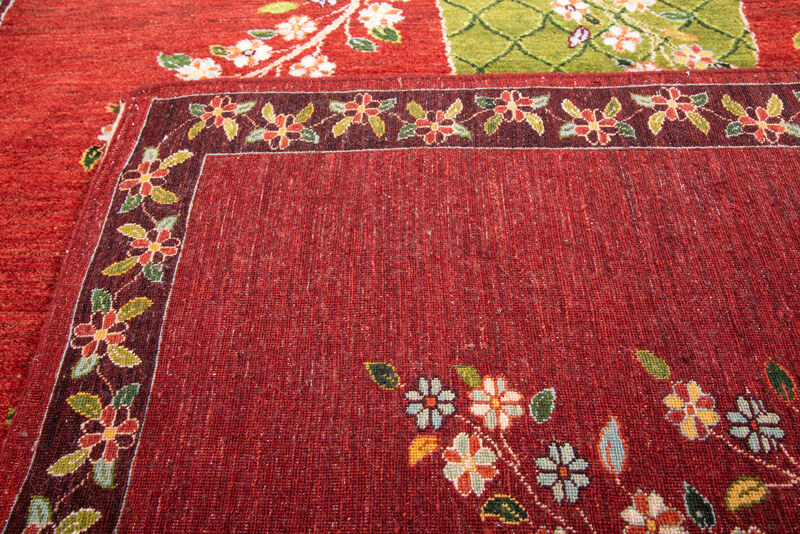 Luribaft Gabbeh rugs are among the finest in knot density of tribal rugs and are proudly hand knotted by Qashqai nomads. 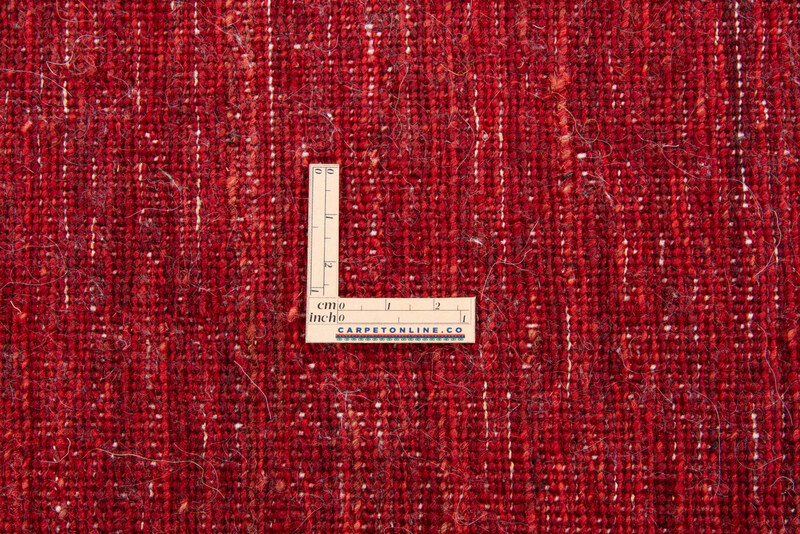 They feature a soft, handspun wool pile on a wool foundation, as well as vegetable dyes. 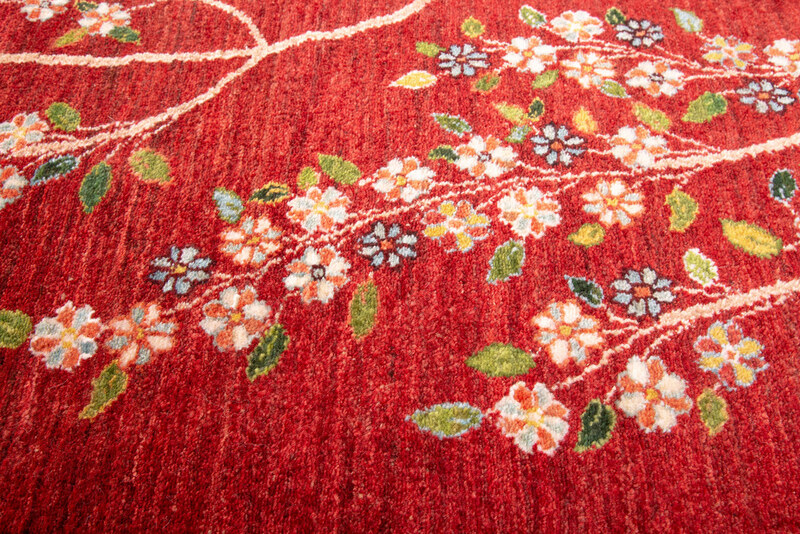 These rugs typically have more sophisticated designs and tighter weave comparing to other Gabbeh rugs. 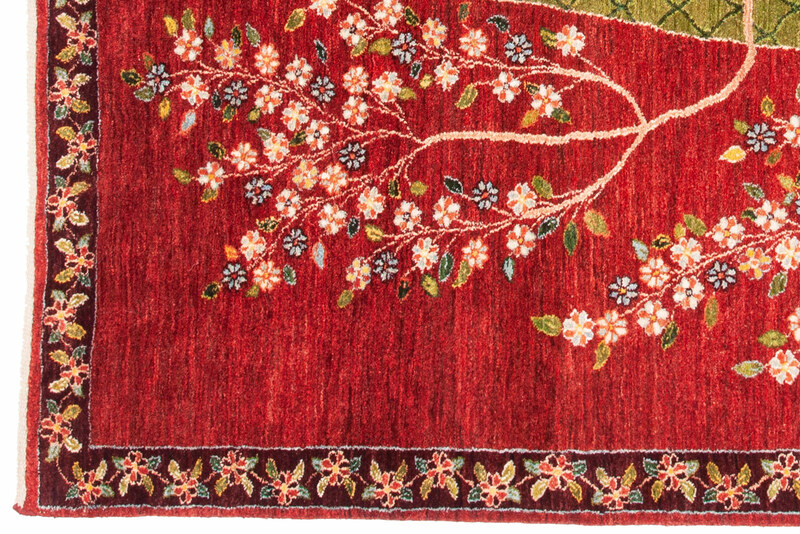 Luribaft rug designs spring from the imagination of the weaver, influenced by environment and folk inspired motifs. 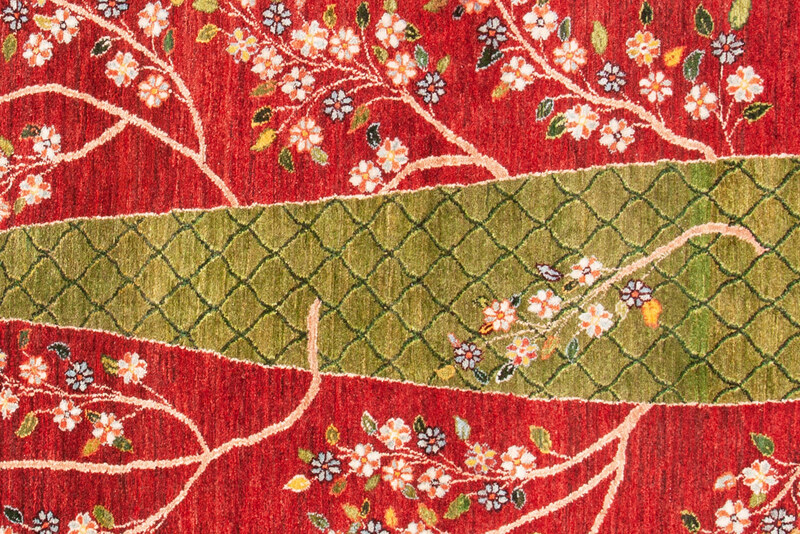 It is this blend of weavers' freedom and old heritage that produces a one of a kind, enchanting carpet. 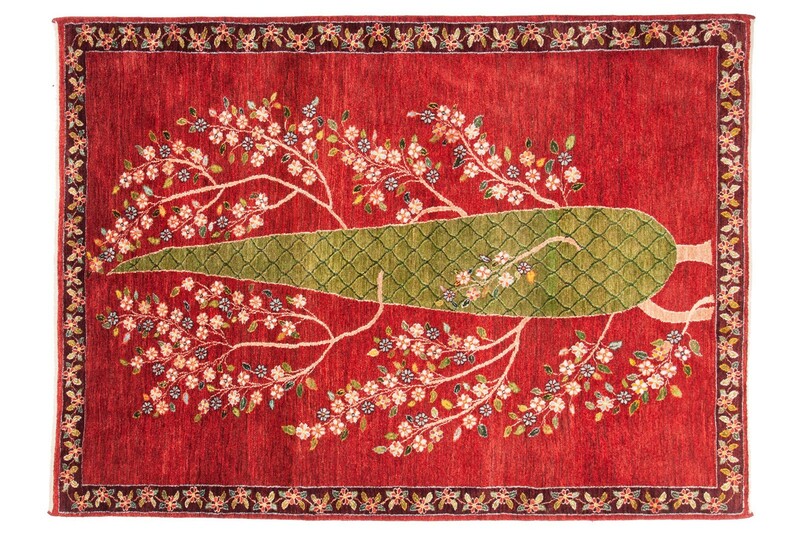 These fabulous rugs are home decoration pieces that will never go out of style. Luribaft Gabbeh rugs are among the finest in knot density of tribal rugs and are proudly hand knotte..
Loribaft Gabbeh rugs are among the finest in knot density of tribal rugs and are proudly hand knotte..